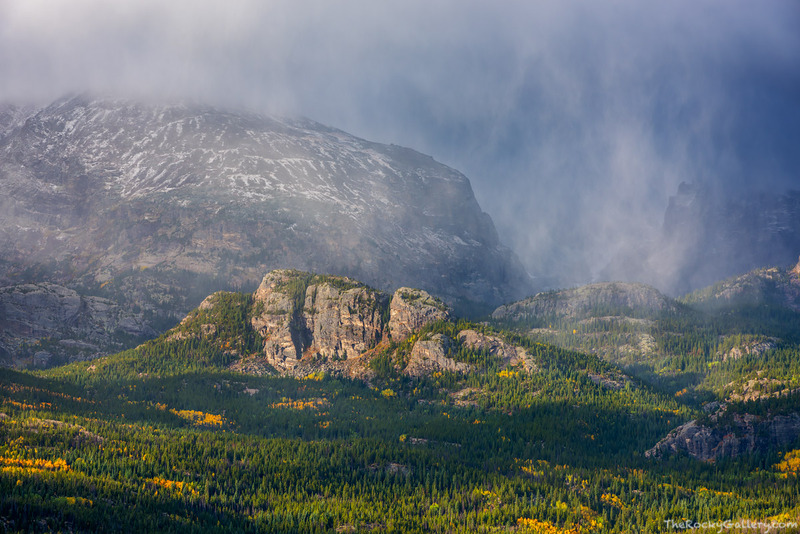 The sun lights the base of Thatchtop Mountain and the Glacier Knobs over Glacier Gorge as snow squalls move over Rocky Mountain National Park's changing autumn landscape. September is a dynamic month in Rocky Mountain National Park. The fall color season is well underway but snow and cold weather are always a possiblity as well this time of year. Photo © copyright by Thomas Mangan.